We ensure our clients receive the best. Here’s how we do it! First, after you contact us to set up an appointment we will meet with you at your home or business to discuss design options such as fence material, height, and purpose to make a plan to fit your budget. We believe this is a crucial step in our process as your fence is part of your property that you will see every day. Then our team will measure the area. Reviewing the land for slopes, corners, outcroppings, tress and other interruptions. We factor these aspects into our installation plan and discuss the impact of them with you. Once the terms of installation are agreed upon we take a down payment and all parties sign a contract and an anticipated install date is set with you. Next, we call Dig Safe, which is required by law, who will flag and spray the location of utility and service lines. Last, we gather our materials, and are ready for the install! Depending on the scope of a project, installation will usually take between one and two days to complete. After installation we collect the remaining balance. 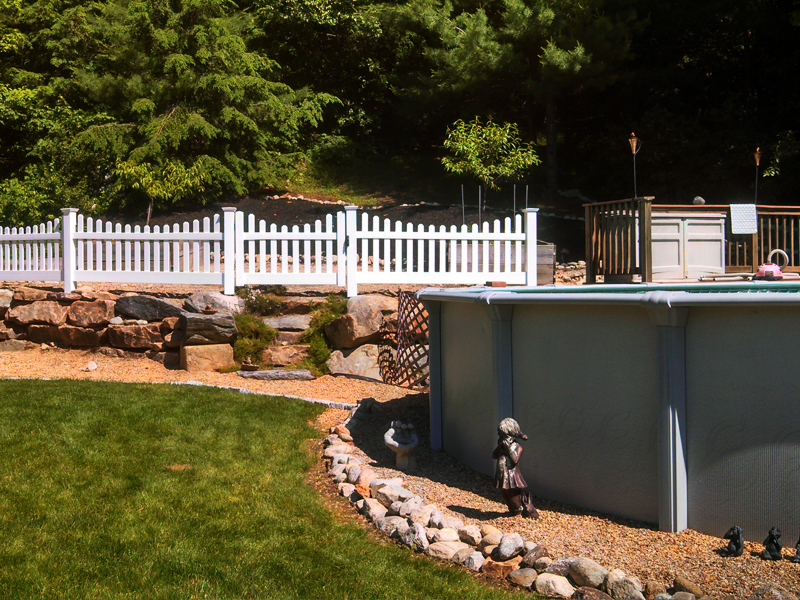 We pride ourselves on our quality fence installations and our vast selection of styles and materials. 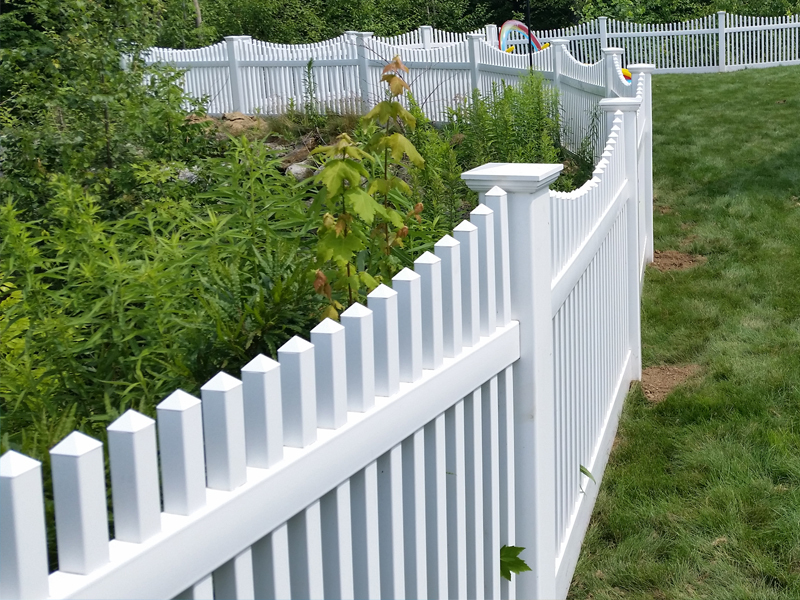 We help you find the ideal fence type for your specific needs. Explore our full list of fence services for more info. Pool enclosures can be a mess of building codes and permits. When installing a new, or replacing an existing, pool surround don’t trust less than the best. Call us today for the quality you deserve at a price that fits your budget! At Geary, we are experts in all fencing applications. We use the highest quality materials for every fence we install. 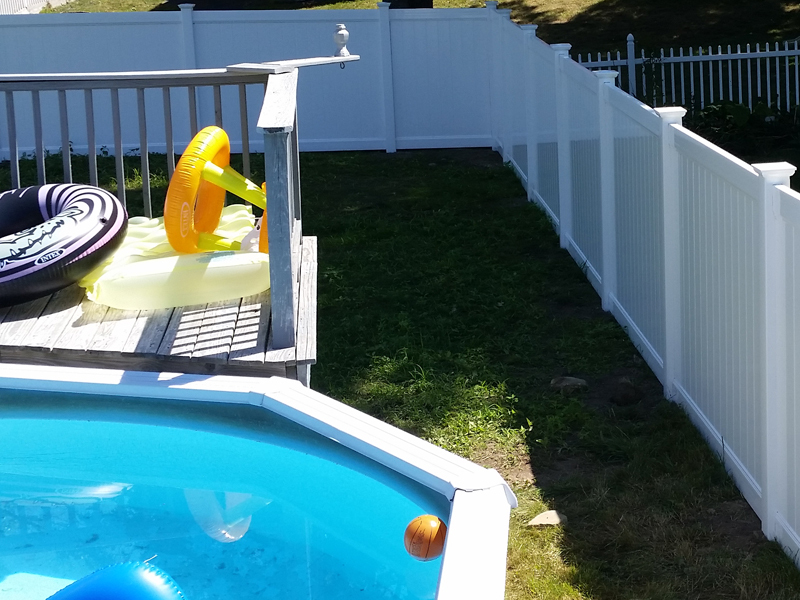 Call us today and our team will help you decide what type of fence is best for your project and your budget! 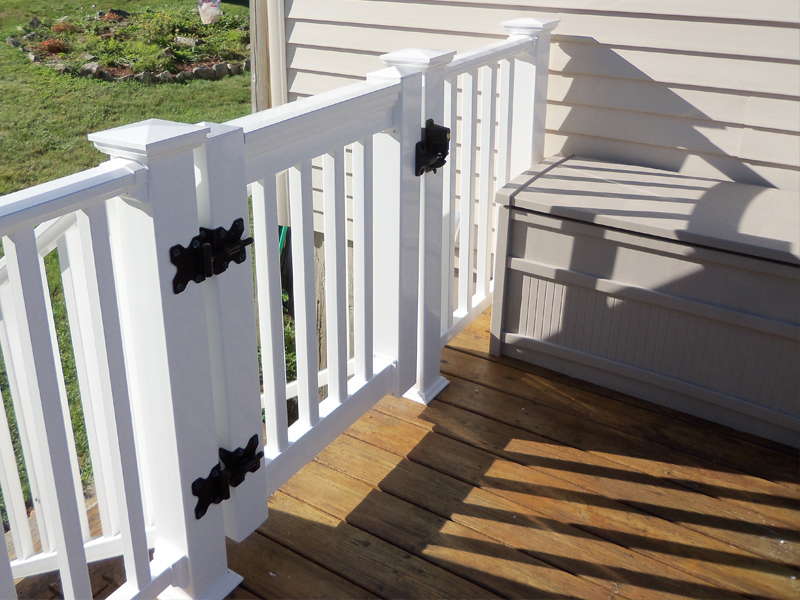 The railing on your deck endures the elements all year long – from the Summer heat to Winter storms. Which is why we use durable, high quality materials for deck railing. It is our goal to make long lasting results for you to enjoy for years to come!